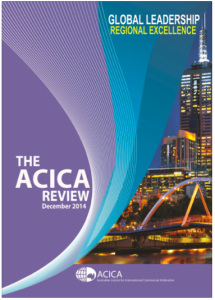 In the December 2014 issue of The ACICA Review, Charles O’Neil’s book “Human Dynamics in Construction Risk Management” is reviewed on page 9. “A common factor in construction risk management is human dynamics and this book explores how and why people are the problem in many instances, not a lack of effective risk management systems. The book contains more than 50 project case studies, ‘human’ management situations and online links to public information on projects around the world that have run into trouble.